Ping a ruler on the edge of a desk while changing the length that can vibrate. Hear how the pitch changes, and notice how the vibration frequency changes. Hang the ruler/paint stick/popsicle stick over the edge of the desk. 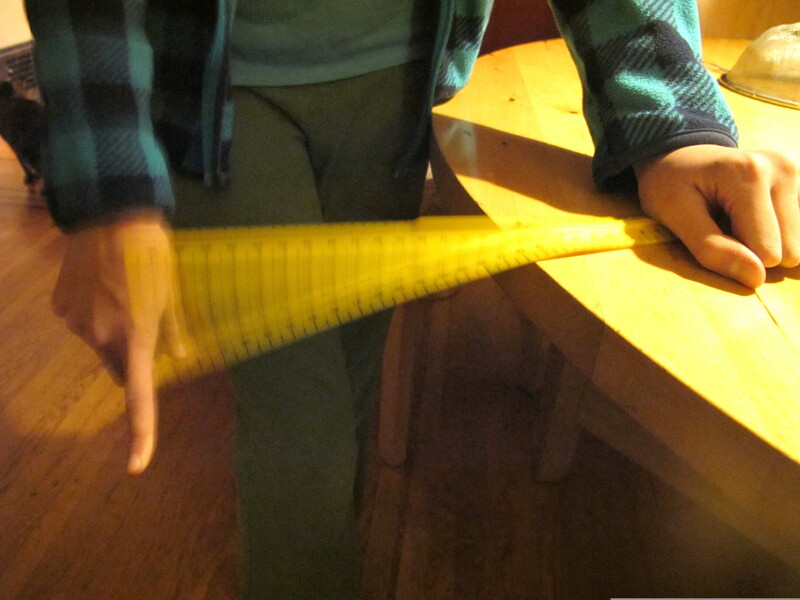 Push it downwards, then let go, so that the ruler vibrates and makes a sound. 1. Change how much of the ruler is hanging over the edge of the desk and experiment with the different notes that are made. The "pitch" is how high or low the note is. A longer ruler hanging over the edge makes a lower pitch; a shorter ruler gives a higher pitch. Note that the longest ruler may not make much of a note except the slapping against the desk, and the shortest ruler will not make a note at all, so work in the middle of the ruler. It also helps to start with a longer ruler, twang it, then make the ruler shorter while it is still vibrating. Then it is easier to hear the note rising in pitch as the ruler is moved. 2. Observe the vibrations of the ruler closely to correlate the frequency (speed) of the vibrations with the pitch of the note. A longer ruler vibrates more slowly, so has a lower frequency. 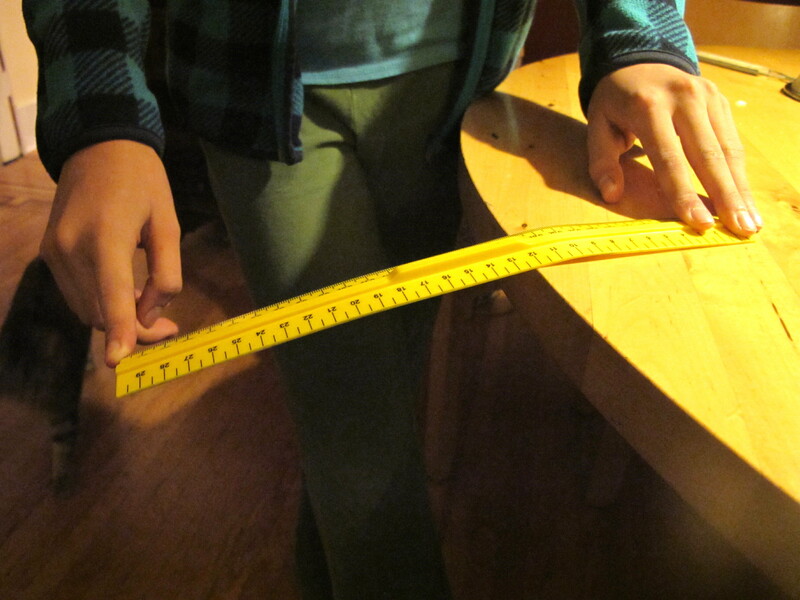 A shorter ruler vibrates more quickly so has a higher frequency. Note that it is hard to see the vibrations as they get very fast when the ruler is very short, so start with the longer ruler and move it gradually slower. Worksheet attached below for older students. The vibrating ruler pushes the molecules in the air, making them bunch together. As the ruler vibrates back and forth it makes waves of molecules pushed together (pressure waves). The molecules transmit these pressure waves through the air into our ear, where they are converted to electrical signals that get sent to our brain. When the ruler is longer it vibrates more slowly, so pushes molecules together less often, so the waves of molecules are further apart - the frequency of sound waves are lower. Lower frequency waves have a lower pitch. When the ruler is shorter it vibrates more quickly, so makes higher frequency pressure waves, which have a higher pitch. It is a little hard to hear the different notes for younger grades.